The original pilot project, completed in February 2018, was deemed a success. Image: Viridian Solar. The scheme will now see the redevelopment works expanded to more than 150 Nottingham City Homes properties, tackling some of the housing association’s oldest and least energy efficient stock. The approach, borne out of the Netherlands, centres around rapidly boosting a building’s environmental and energy performance to such an extent that they become almost net zero carbon. Energy saving and generating technologies are combined, with homes capable of meeting all of their energy demand from on-site generation. Solar PV is set to play a crucial role in the deployment, as it did when Nottingham City Council established its pilot of the scheme in February last year. Melius Homes, the contractor for that pilot programme, is to continue in its role as principal contractor and the scheme is to be extended to include energy efficiency improvements to a school in the city and a number of homes in nearby Derby. 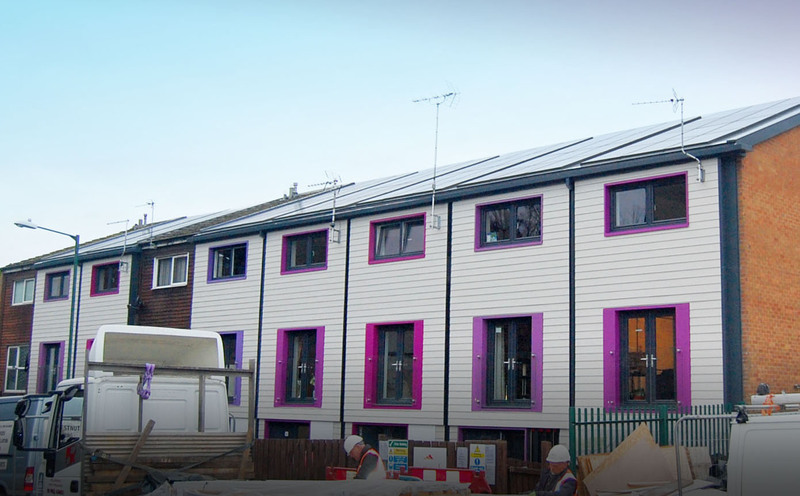 Councillor Sally Longford, portfolio holder for energy and environment at Nottingham City Council, said tackling energy inefficient homes was the right thing to do as the city’s largest landlord. The bulk of the extended rollout is to fall under the Deep Retrofit Energy Model programme, which is a project backed by the European Regional Development Fund to improve energy efficiency in homes and public buildings in Nottingham. A further programme, launched by the European Union’s Interreg NWE project, will support the deployment of the first 17 retrofits.